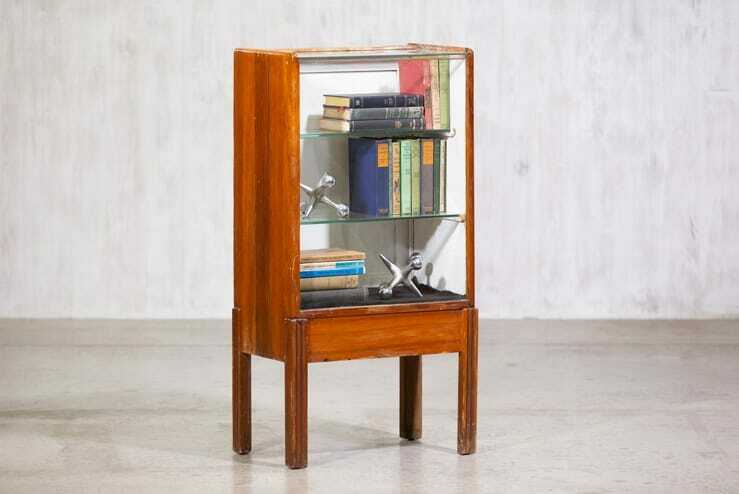 Modecraft Deco wooden display cabinet. 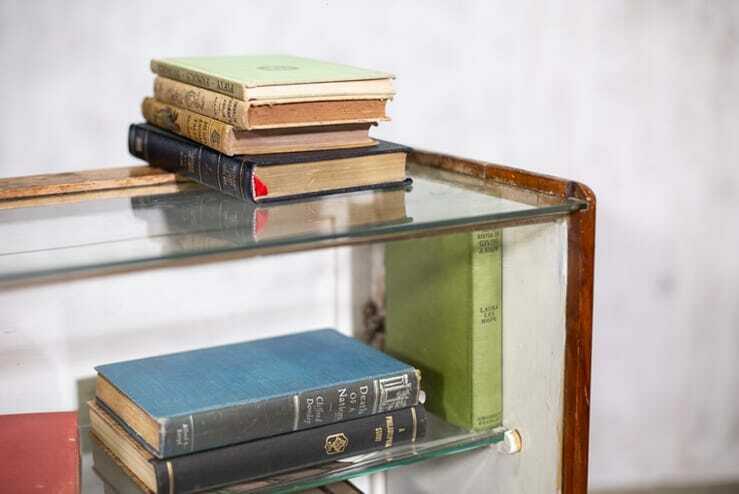 The two upper shelves are glass; the bottom shelf is lined in black felt. Interior is painted white. Opens from the back. 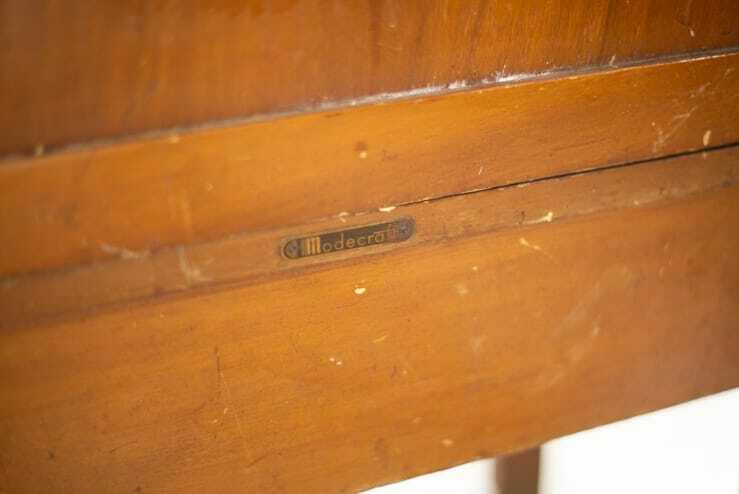 Modecraft was known for utilitarian furniture that was used in dentist offices, beauty shops, and nail salons.